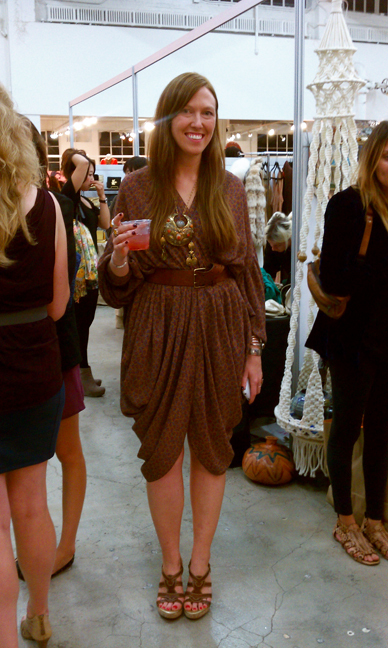 a current affair has struck downtown once again and is quickly becoming my go to for one of a kind elements of splendor! 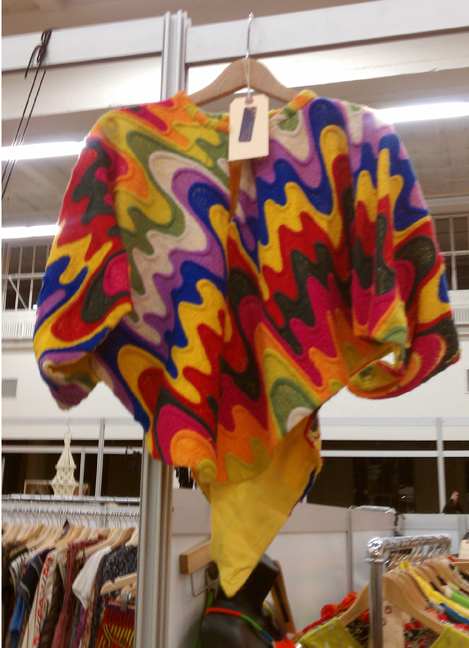 at a time when there are so many mass collections of ho hum clothing coming at you, and we all become more frugal in parting with our dollars on “up to the minute” trends, i, myself want something that speaks to me. 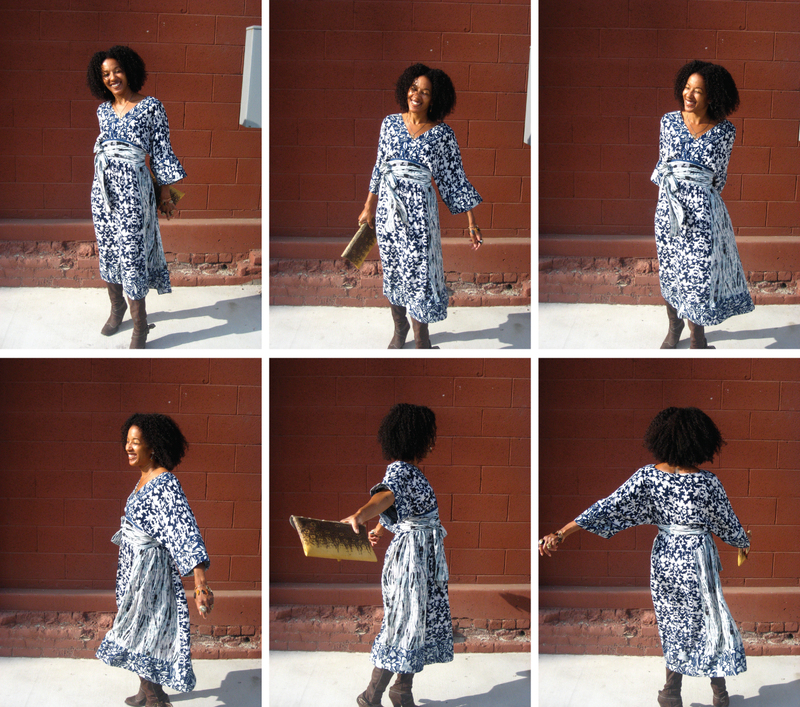 something outside of the editorial magazines and fashion blaring blogs that spells out style my way. free drinks, tireless d.j’s and all the vintage eye candy you could want in an art deco penthouse makes for a memorable saturday night! as usual, i could barely get through the door without tossing my sweater and handbag to my ever so patient partner and bee-lining it over to the nearest rack. everything about this dress hit her figure in the right way. 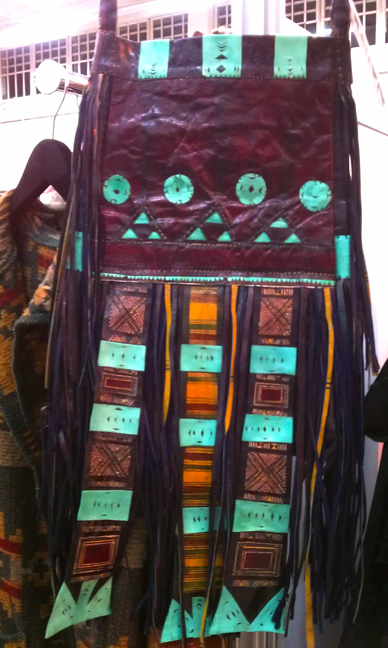 beautiful pieced leather cross body bag which my photos do not do justice from “just say native”. heart stopping color and detail. 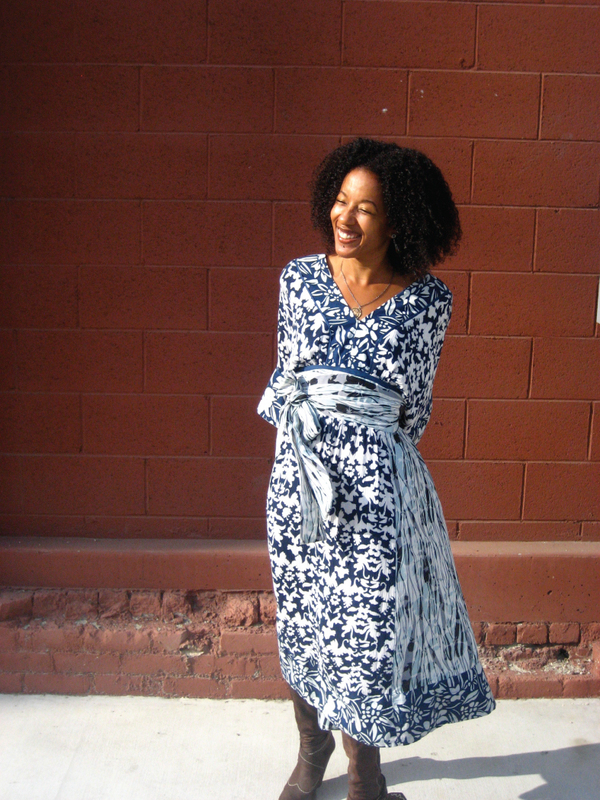 this beautiful indigo print kimono dress came to me via tavin: concept boutique of echo park. as envisioned by erin tavin, her collection was an homage to vintage americana with a global twist in an extensive grouping of denim and indigo. the rustic almost homespun workmanship of her clothes stood out amongst the chiffon, georgette and brilliant flowers of lanvin, leonard, beene, etc. and yes, i am as happy as i look! i paired this one of a kind dress with my antik denim boots and a two dollar vintage bakelite trimmed lizard clutch i bought from a yard sale in the arts district. 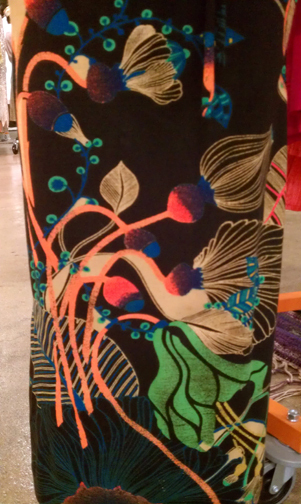 my favorite thing about this dress besides the contrasting indigo prints is the level of detail found throughout. 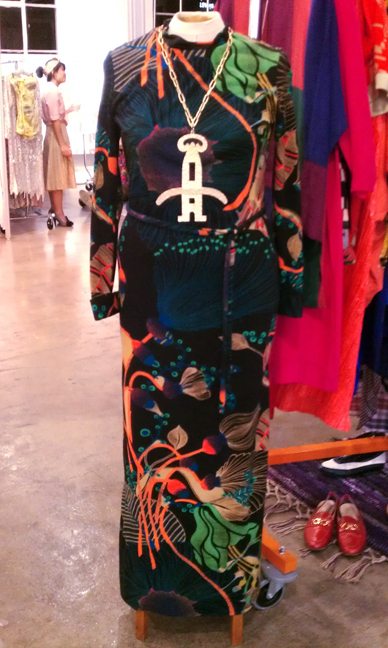 the cuffs, collar and hem of the dress are faced in contrasting fabric as well and the drape is unbelievable! tomorrow i’m going to wear my other score which i’ll feature in my next post along with another vintage palms springs find and a vintage inspired dress with a modern twist! hint: it’s all about vivid color, ethnic prints, and delicate embroidery! 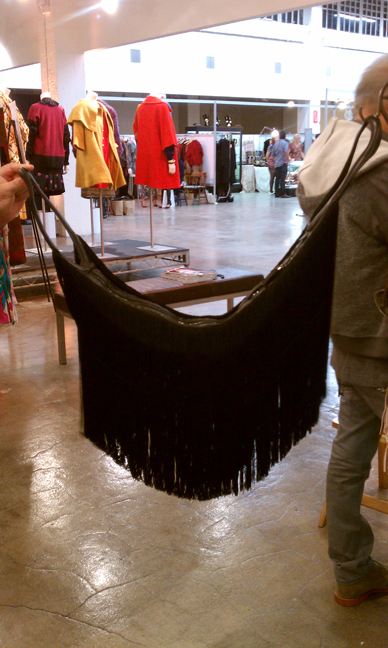 Thank you so much for including me & our Just Say Native vintage bag in your Current Affair Post! Hope to see you at the next one in December! Great find! The dress is beautiful. Pingback: Just Sayin… » Just Say Flattered!